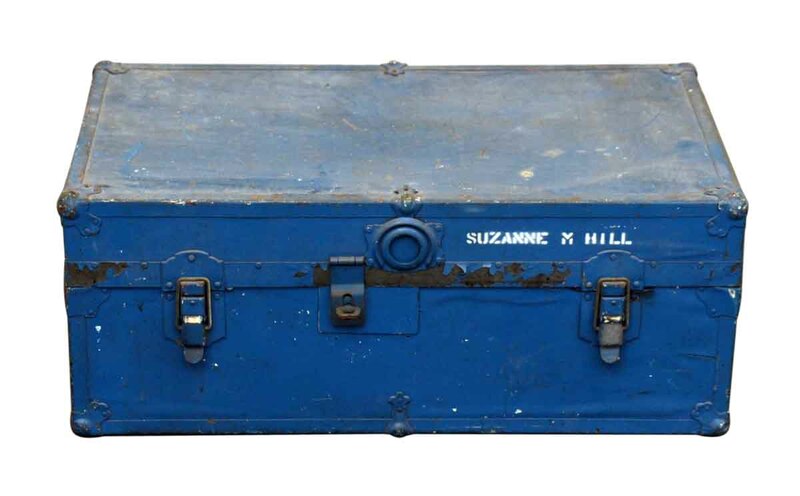 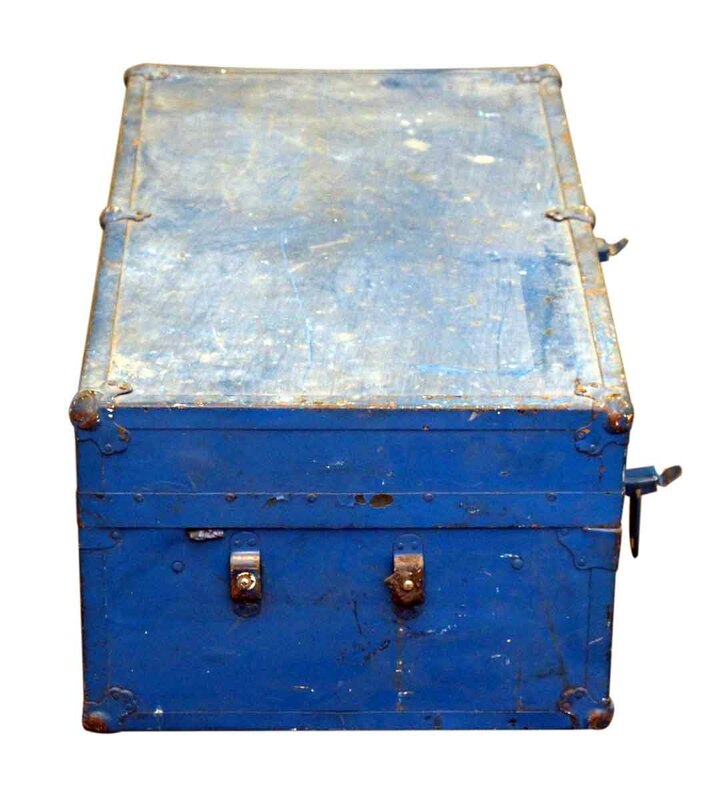 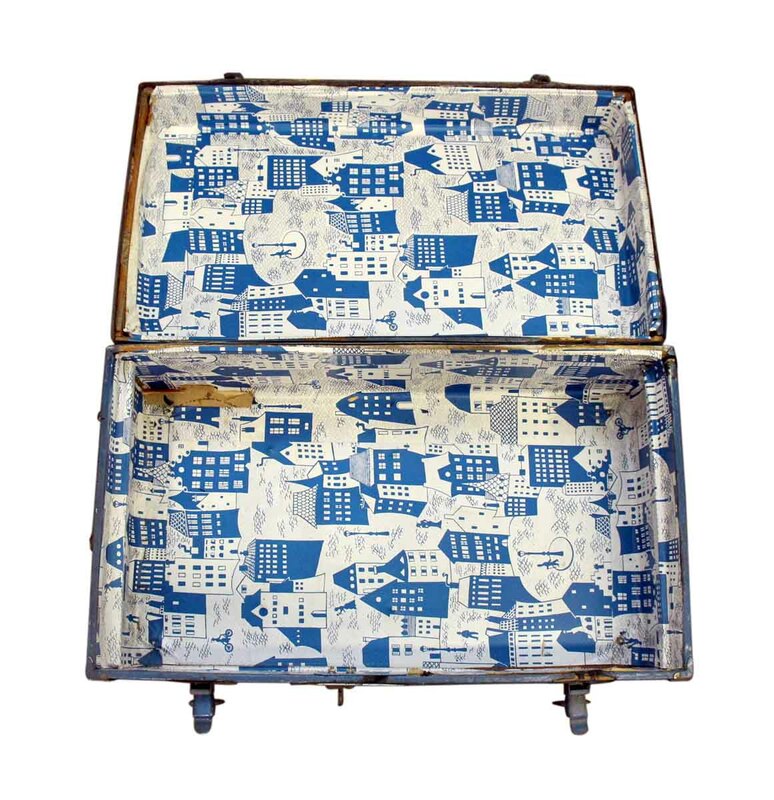 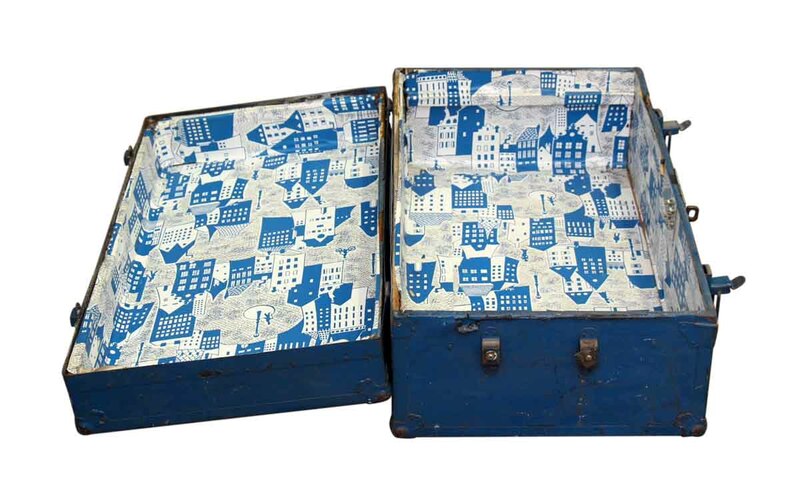 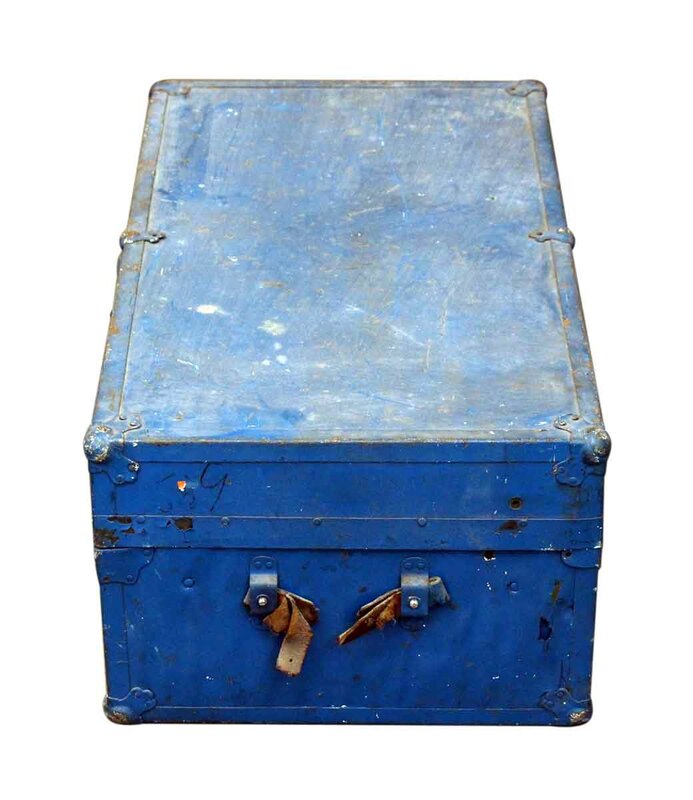 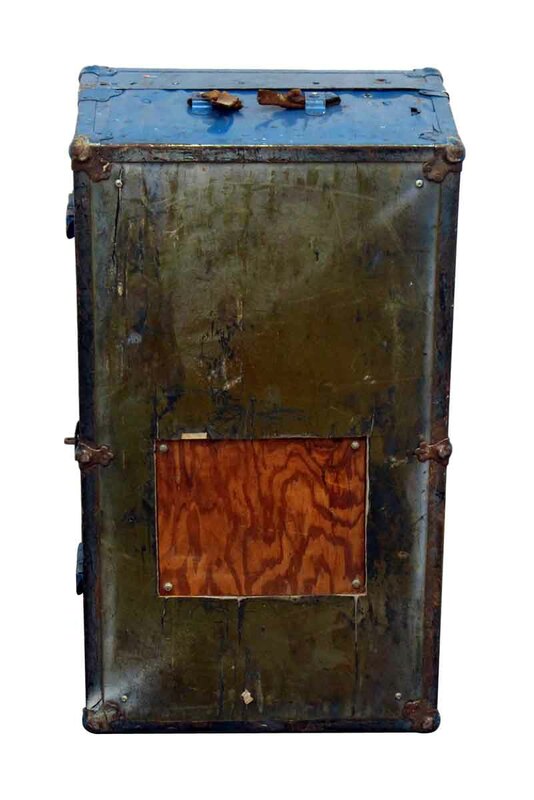 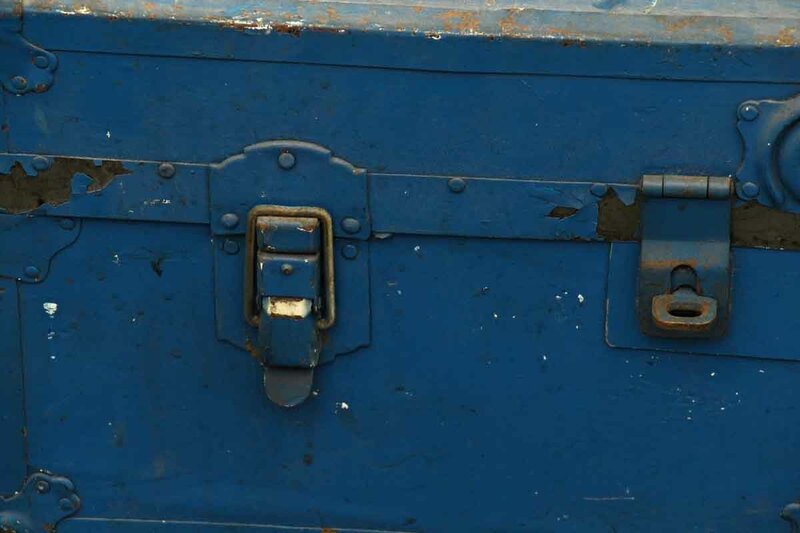 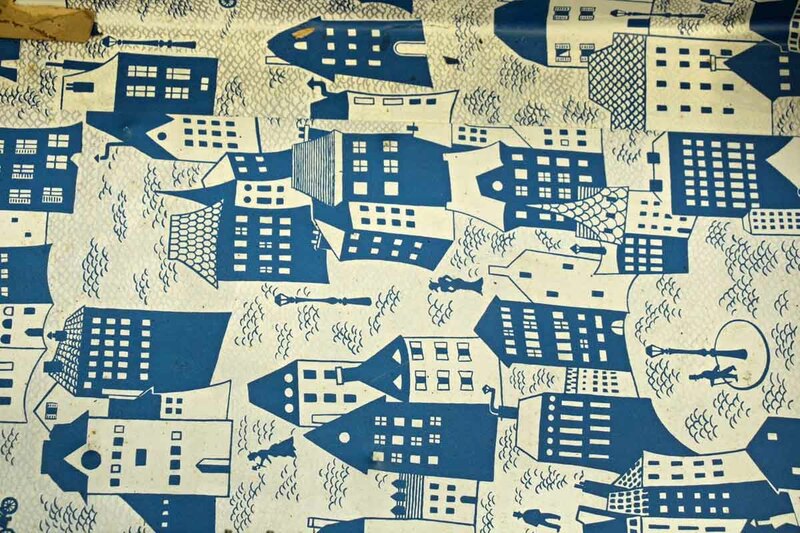 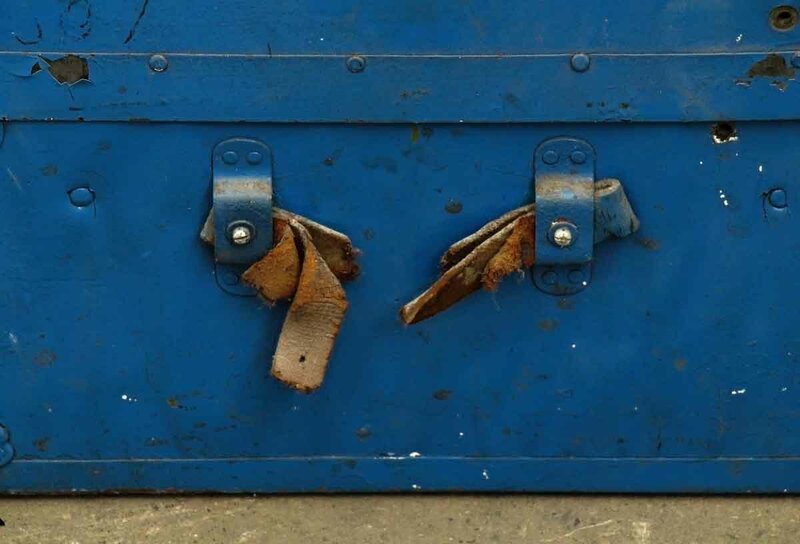 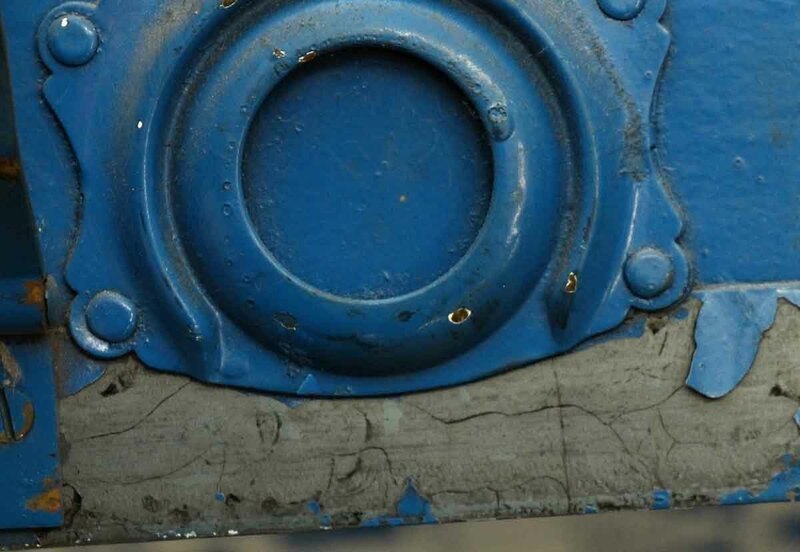 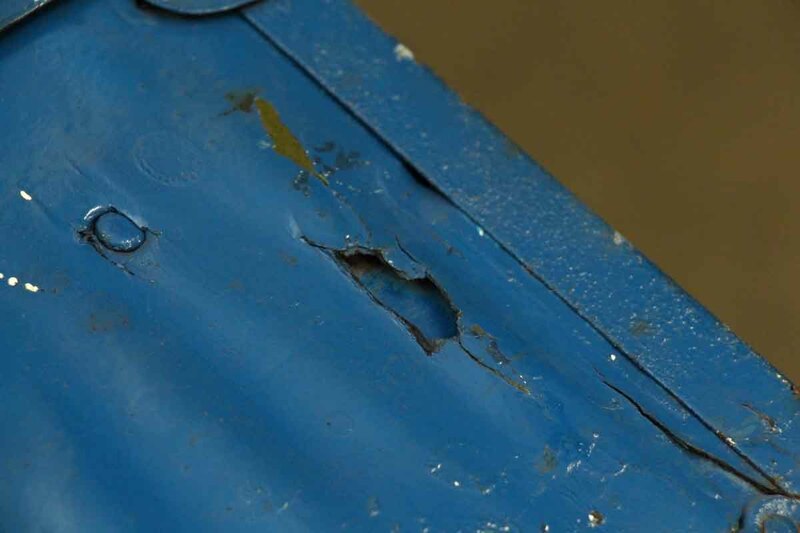 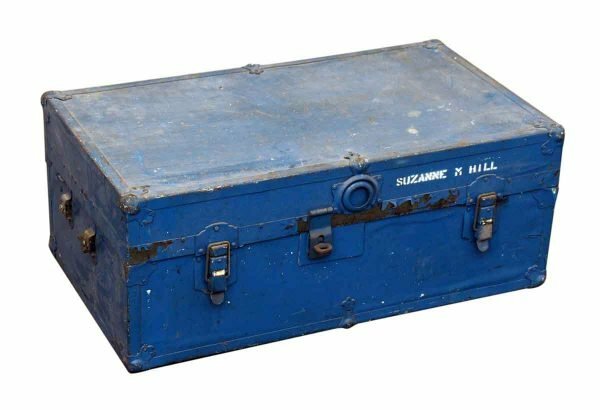 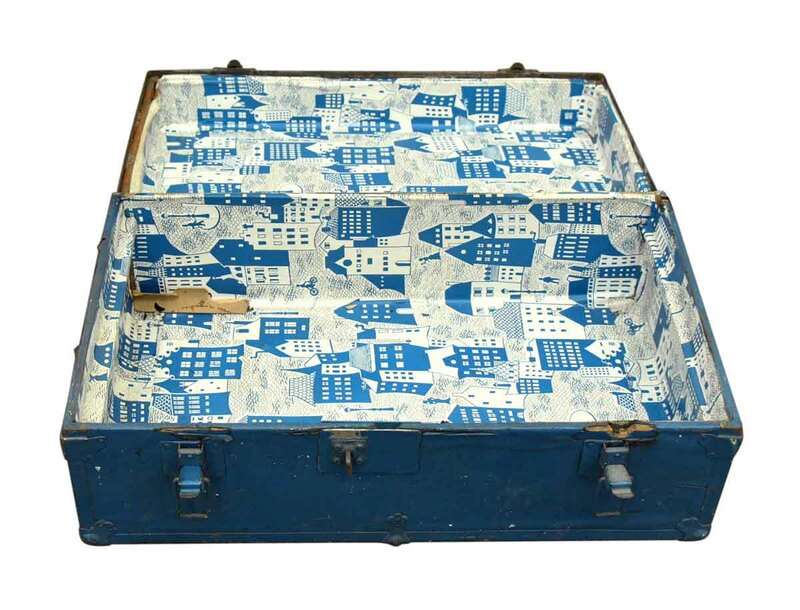 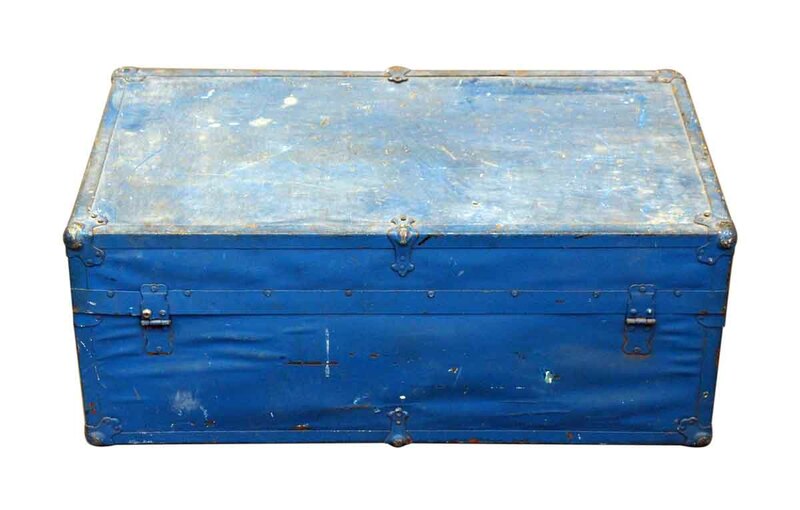 Small metal trunk painted a bright blue with white stenciling. 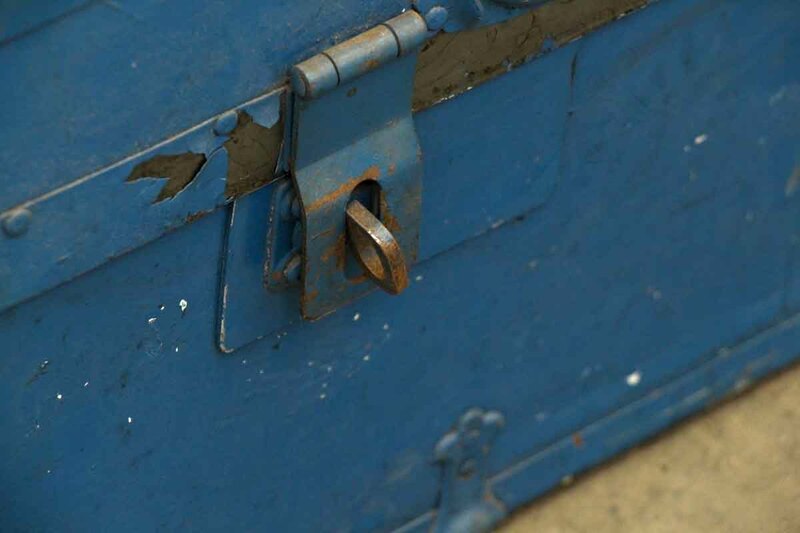 All of the latches are in working order and there is a working locking hole mechanism. 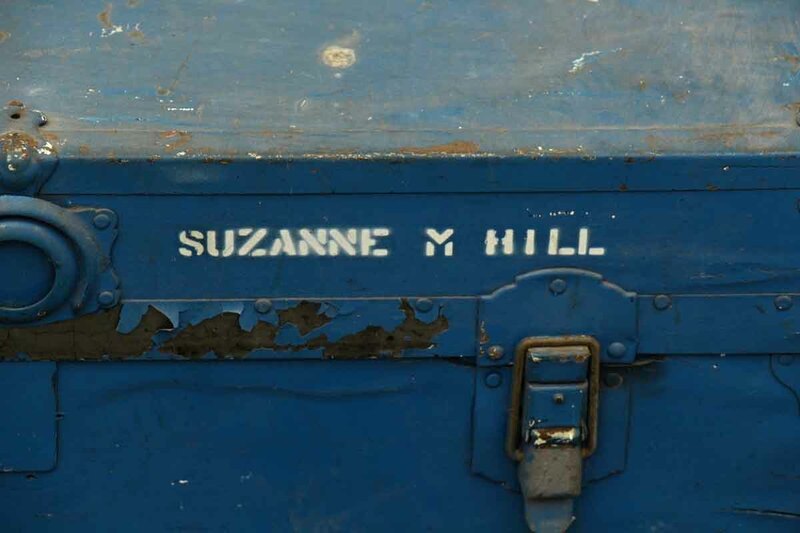 Monogrammed Suzanne M Hill.